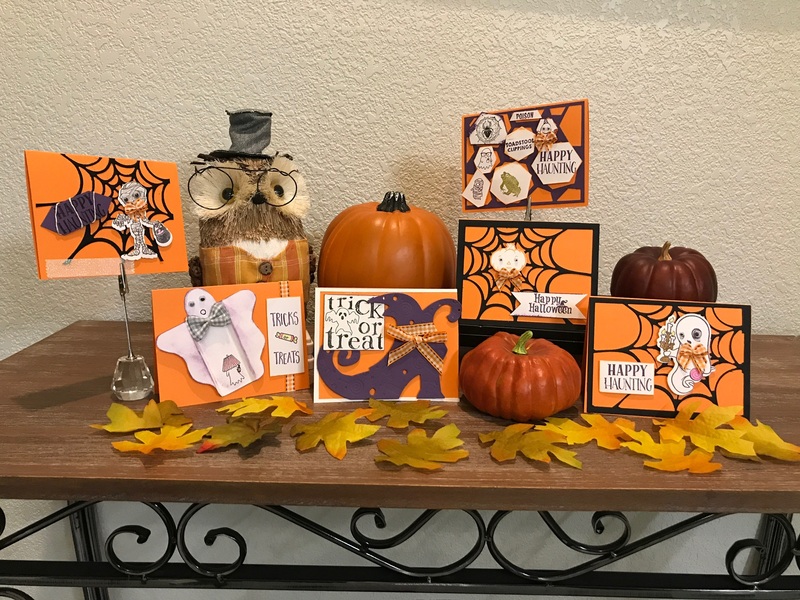 All of these cards were made with FunStampers Journey Product. Ink: Rock Candy, River Stone, Tangerine Fusion,Oatmeal Cookie,Black Licorace, Pretty Pansy, Green Olive. Miscellaneous: Journey Twine Natural, Pumpkin Patch Ribbon, Perfect Bows, Wiggle Eyes , Medium and Small Foam Squares, White Liner Tape, Journey Glue, Journey Color Splash Pencils.